The estimated maintenance cost of Honda Brio for 3 years is Rs. 17,752. I spend around 4k every six months at authorised service centre. That means for three years it will be 24,000. Q. How is the performance and mileage of the car? Its performance is more than expected but little poor on mileage side . Q. Is the ground clearance good enough for rough roads as Mizoram roads are not that smooth. Q. Any safety issues? How is the experience for a long tour? It is best for city commutes, my wife drives the car. It is an absolute safe car. Mileage is bad. This is best for long drive as well. I have covered entire South with my family. Q. Which car is good I have to buy Grand i10 or Honda Brio? Q. Which one is better Brio AT or Wagon R AT with in a budget of around 7 lakhs? Honda Brio is much better but negative news is Honda Brio has been discontinued. Q. What is the deference between Honda Brio i-VTEC and Tiago XT 1.2? Q. How is the car, if we compare it with Tiago XZ? Honda brio is much superior product then Tiago XZ . Q. Is it quicker than alto? Q. Which model of Brio advisable in 3 to 3.25 lakhs for a new female user? Q. I want best mileage car in affordable price. Is it really worth or some other can be? Q. Which one is better bAleno or brio? Q. Please tell About the long drive performance of this car? Adequate performance for long drives. Boot space is a concern though. Clearance is alright. Not that bad. Mileage is only btw 9-11. Perfect for city commute. All honda cars have 4 cyclinder Mileage for city is 9-12 For highways its around 14-16 kmpl. Mostly dependent on how you drive. Q. Does Honda brio comes in automatic? Q. What are the negative and positive points of this car? Q. Hi am Using Brio, and I want to improve its performance specially or low revs and Using CNG as fuel, Using NGK platinum spark plugs and How much should be a gap to be maintained of spark plugs? Any idea what ways can improve performance by not digging deep pockets! The Brio has a weak bottom end, using CNG just makes it worse. Spark plugs won't make a tangible difference here. And, sadly, there's no cheap 'fix' to this issue. Q. My Honda brio has covered 14k km. I have serviced 1 year back @ 8k kms. What will be the service cost. Q. What is difference between E MT and S MT? Q. What is the price of Honda Brio? Q. What is the mileage of Honda Brio? Q. What are the specs and features of Honda Brio? Q. What are the top competitors of Honda Brio? Q. What are the top variants of Honda Brio? Q. What is the service cost of Honda Brio? Q. 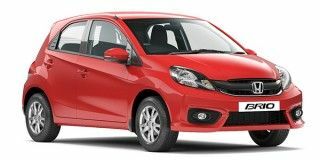 What is the EMI of Honda Brio? Q. What are the colours available in Honda Brio? Q. 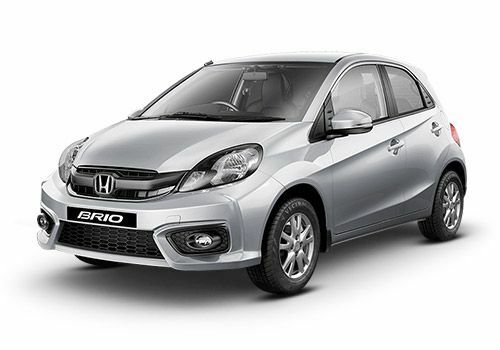 What are the petrol variants of Honda Brio? Q. What are the automatic variants of Honda Brio? Q. What is the top speed of Honda Brio? Q. What is the fuel tank capacity of Honda Brio? Q. What is the boot space of Honda Brio?